Some people still believe massage therapy is an indulgence purely for relaxation. 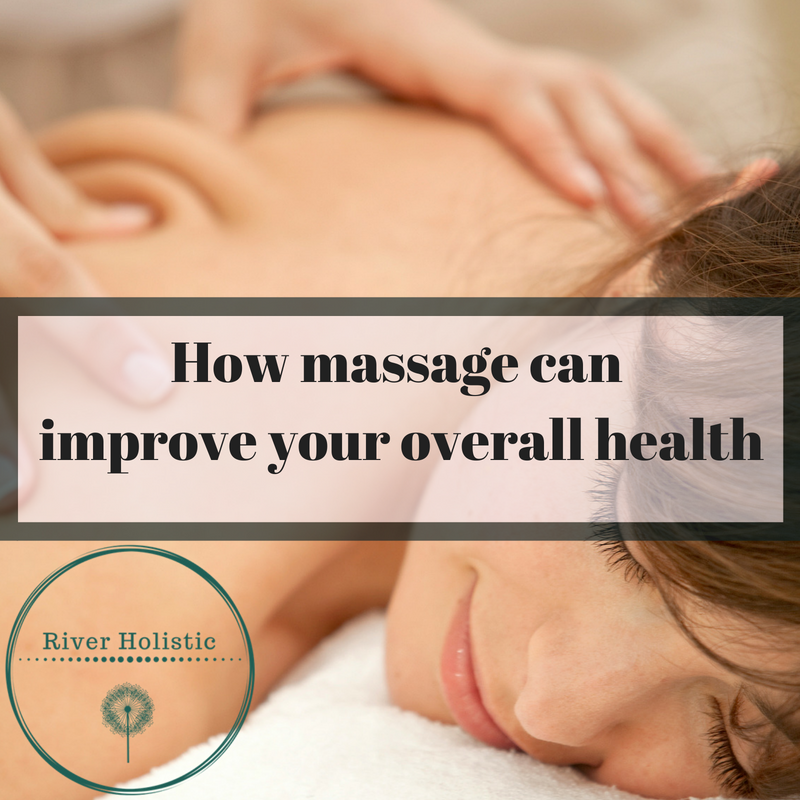 The health benefits of massage, however, have proven otherwise. Today we know that our mind-body connection means excessive stress brings on or exacerbates illness by reducing our own natural immunity to disease. People who value their health know that, like a healthy diet and exercise, regular massage treatments are a valuable part of a stress-reduction plan. Anxiety, depression and other mental health conditions can be better managed with massage therapy, according an article on the Mayo Clinic website (mayoclinic.org). In addition, massage helps reduce or alleviate headaches, joint pain, digestive disorders, fibromyalgia and much more. Massage therapy has many forms, applied according to a therapist’s training and a client’s ailments. Some commonly known techniques are Swedish, hot stone, deep tissue, prenatal, and sports massage. It promotes suppleness of the muscles, improves circulation and reduces stress. Balances digestion and waste removal. With regular Holistic Massages you will find that you have increased energy levels as there is less energy spent in holding the body in a state of tension and strain. In this fast moving world, shouldn’t we all have some real time out! Muscular aches, pains, sprains and strains. The term deep tissue massage refers to increased pressure applied by a therapist aiming to alleviate chronic pain and increase range of motion. This type of massage can be painful. Although some call it a “good pain,” any massage therapy should be done only to the client’s tolerance. Deep tissue massage is a specialized massage aimed at the deeper tissue structures of the muscles. This massage uses many of the same movements and techniques as Swedish massage, but the pressure will generally be more intense. It is also a more focused type of massage, as the therapist works to release chronic muscle tension or knots (also known as adhesions). It reduces stress and allows the mother to relax, both important for during the pregnancy and labour. The health of the baby is enhanced by the pregnancy massage through increasing blood circulation, lymph circulation, reducing oedema and increasing cellular respiration. Massage helps the mother to feel nurtured and pampered and this can then be passed onto the baby. Pregnancy massage assists in reducing tension in the weight bearing joints and other bone and muscle structures. Sports massage can help relieve soft-tissue aches and muscle stiffness to prepare for events or recover from exercise. This type of massage isn’t just for sports injuries though. It can be beneficial to anyone who engages in repetitive physical activity, which is hard on the body. It’s always best to check with your doctor before starting any new health regimen, including massage therapy.